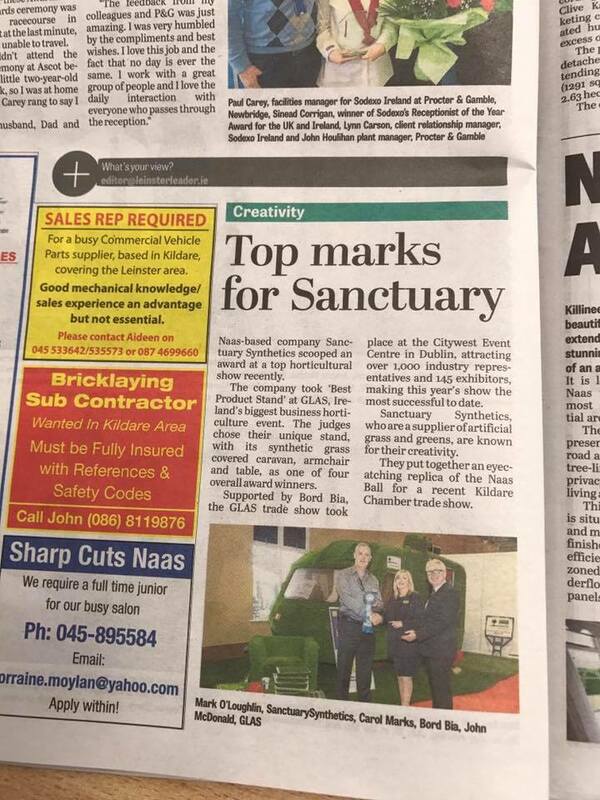 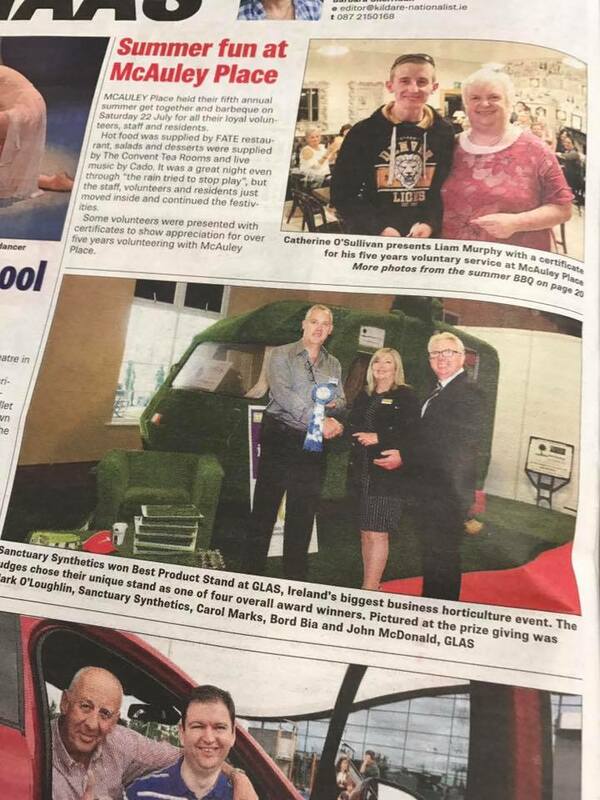 We love when our work gets recognised, and this week we were delighted to be awarded the Glas Best in Show Award at the recent Bord Bia Garden Landscape Amenity Showcase event in Citywest Dublin. 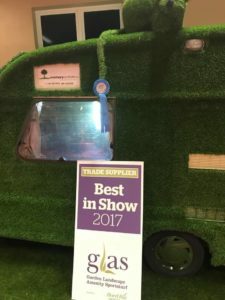 We were thrilled to win the ‘Winner of Best in Show Trade Supplier’, yet another endorsement of the ongoing work by Mark and his team to keep Sanctuary at the head of the pack when it comes to supplying and installing artificial grass for homes, schools and businesses. 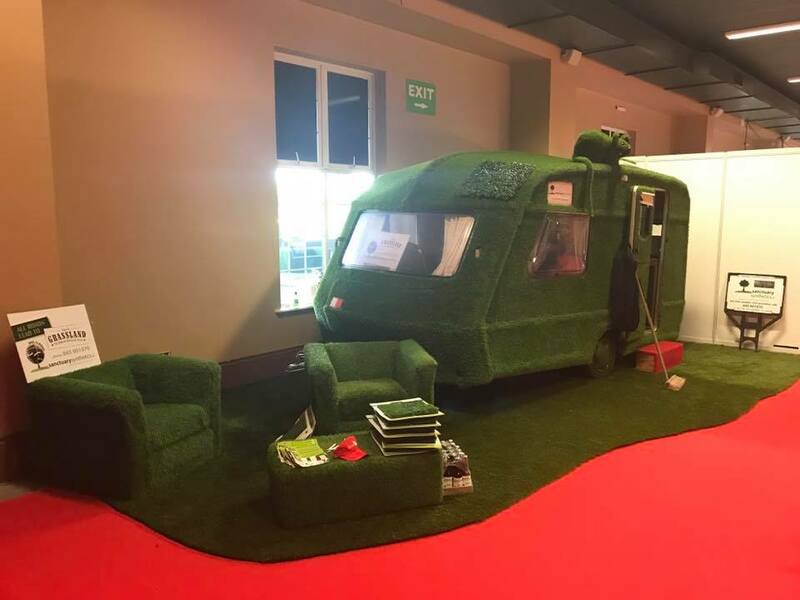 This year’s GLAS was the biggest yet, featuring over 145 exhibits from some of the leading product and service providers on the market. 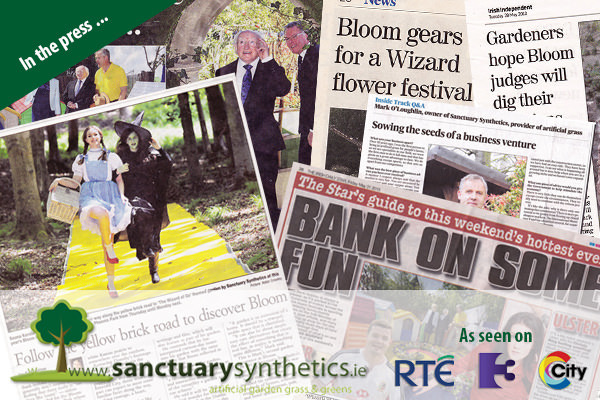 The show featured a new-look Sportsturf Village and Machinery Park in association with The Irish Institute of Sports Surfaces, new-look Retail Merchandising Showcase in partnership with Shop Equipment Ltd and the Board Bia Learning Theatre, which hosted a free series of well attended talks throughout the day.